This entry was posted in Uncategorized by Derek Gregory. Bookmark the permalink. Dear Derek, my condolences as well … I’m just on the last pages of A God in Ruins, at your recommendation as so much of my reading these days is. I’m reminded of your father now, in its stories of the gentle souls of Hugh and of Ted. 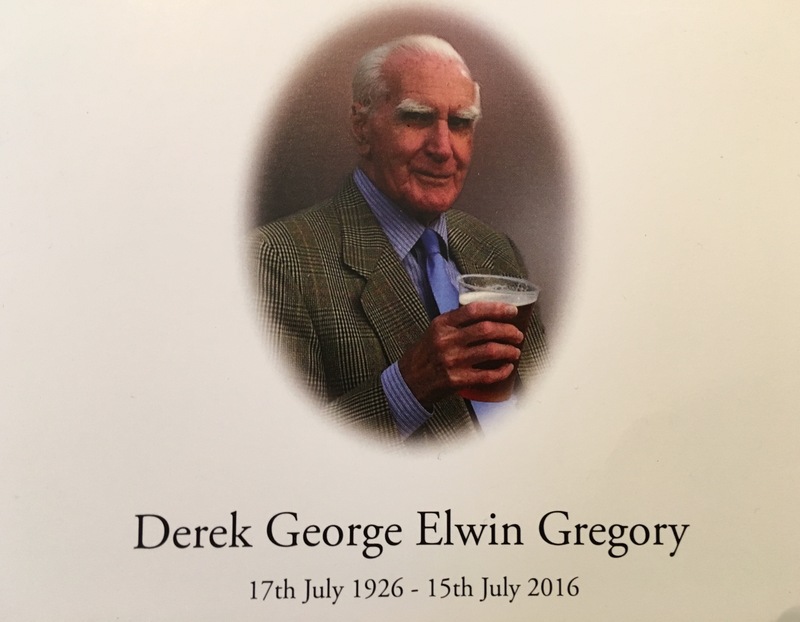 Dr. Derek Gregory I am sorry to hear of your loss. My Condolences and Sympathies. Very sorry to hear of your loss. You are fortunate to have had such a long and beautiful relationship with a gentle and kind father. May his soul rest in peace – and may your memories bring you solace. Dear Derek – my condolences on your loss. This is a moving and lovely tribute. You are fortunate to have had such a wonderful relationship with such a gentle and kind father.